Easy to grow plants are similar to lambsquarters, with a unique pink coloration. Very heat tolerant. 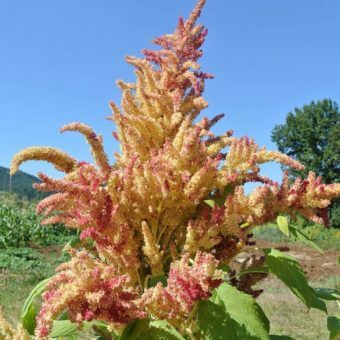 The magic happens when they grow over 6′ tall,producing beautiful long trailing flower heads. 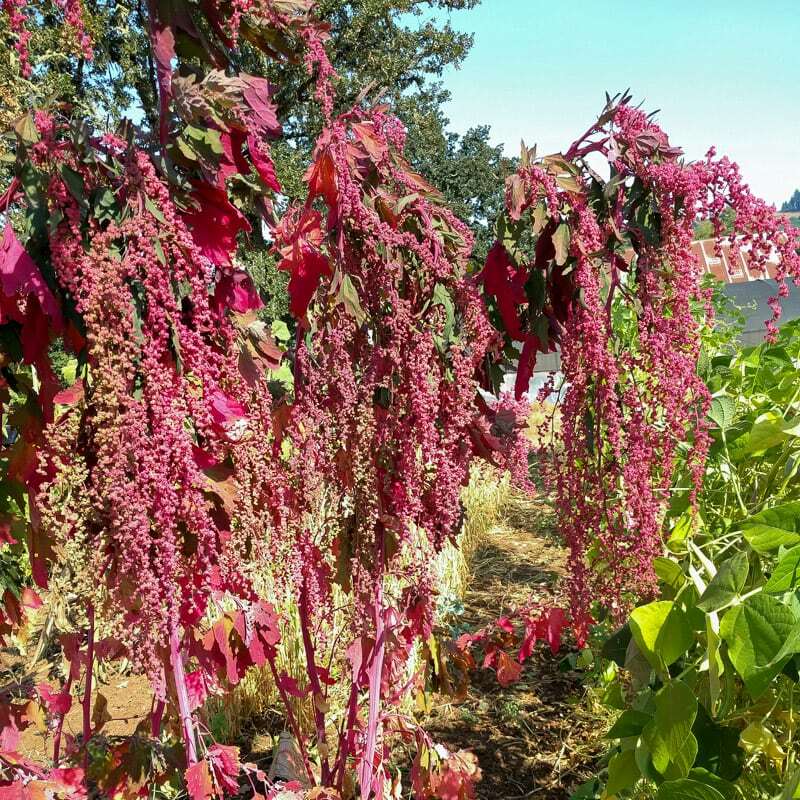 Flower heads resemble Love Lies Bleeding amaranth and similarly make great cut flowers. Late to mature seed but the plants can be cut and brought under cover to after-ripen. 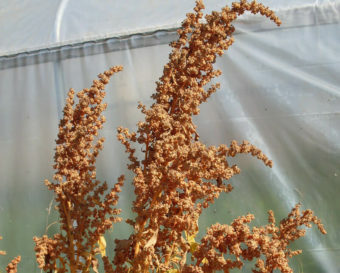 C. formosanum produces smaller seeds than Andean quinoa. 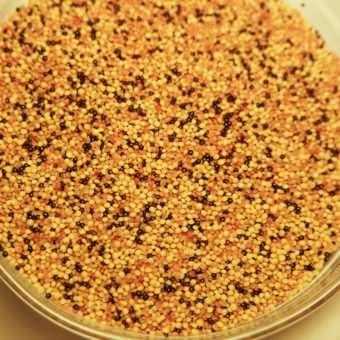 We put threshed, uncleaned seed in a pillowcase, throw it in the clothes dryer, set to fluff (no heat), and let it tumble for 20 minutes – a great way to remove the hulls so it’s ready to cook. 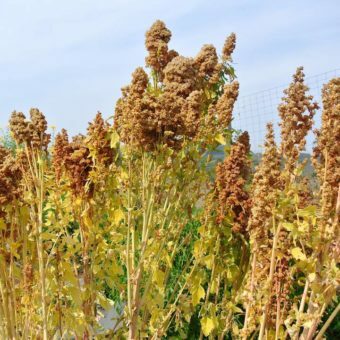 We mostly use the leaves as a vegetable, but the seed is also high in protein, making Taiwanese quinoa a great all purpose food plant. Said to be a native plant to Taiwan and China, it is very rare in North America. Recently added to the Slow Food Ark of Taste as an endangered food plant. We were gifted a sample of this seed originally by the lovely folks at Bountiful Gardens. 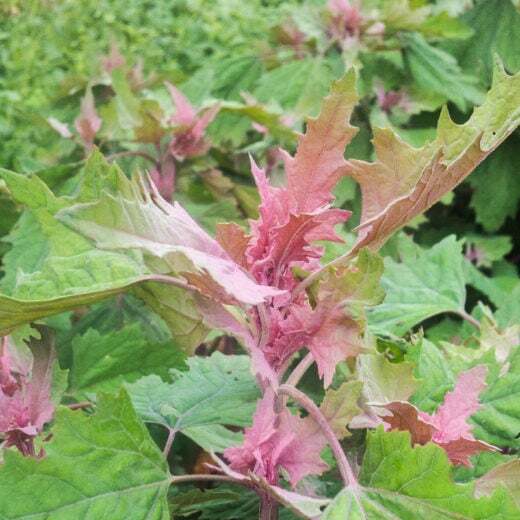 Formerly known as the species Chenopodium purpurascens, may be considered Chenopodium giganteum by some botanists. Aka, Djulis, Purple Goosefoot, Giant Tree Spinach.